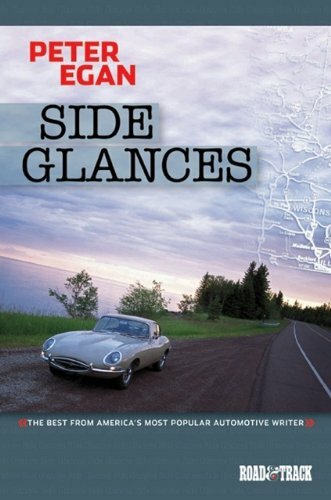 For the millions of loyal readers of Road & Track who look forward to Peter Egan's column every month, Side Glances gives you more than 300 pages of Peter at his best. His conversational, self-effacing style and adroit use of the language make his writing appealing to every automotive enthusiast. This is a collection of 48 of Peter Egan's latest Side Glances columns from Road & Track - they cover the period June 2002 to June 2006. This time he comments on TVR, Driver's Ed., Driving the Jaguar, Mercury Blues, The Ferrari Sharknose plus many more. Also included are 6 features from the same period including Zamboni 500 & A Jaguar in Moose Country. If you have any questions about this product by Brand: Brooklands Books, contact us by completing and submitting the form below. If you are looking for a specif part number, please include it with your message.